Giving Canada’s largest outdoor Christian music festival a boost for its inaugural year. 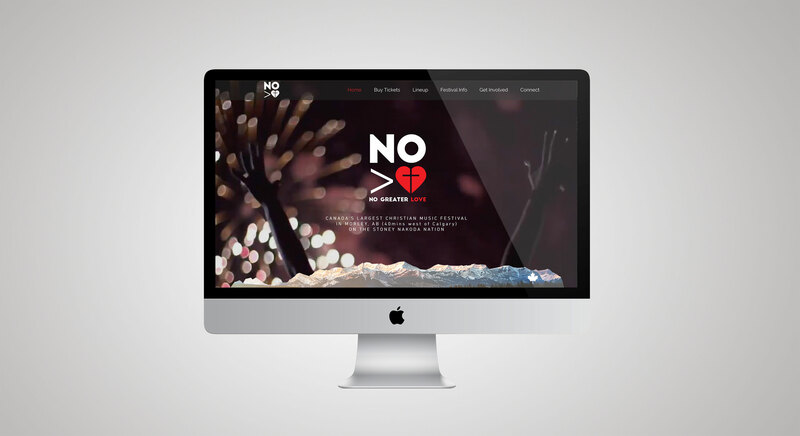 CLIENT: No Great Love is a spectacular 3-day outdoor music festival hosted in the shadow of the Canadian Rockies every August. Camping under the stars, breathtaking mountain views, and a lineup of the biggest names in Christian music give this one-of-a-kind music festival unique memorable appeal. APPROACH: Targeted Facebook ads, partnerships and collaborations, brand refresh, website optimization, PR magic. 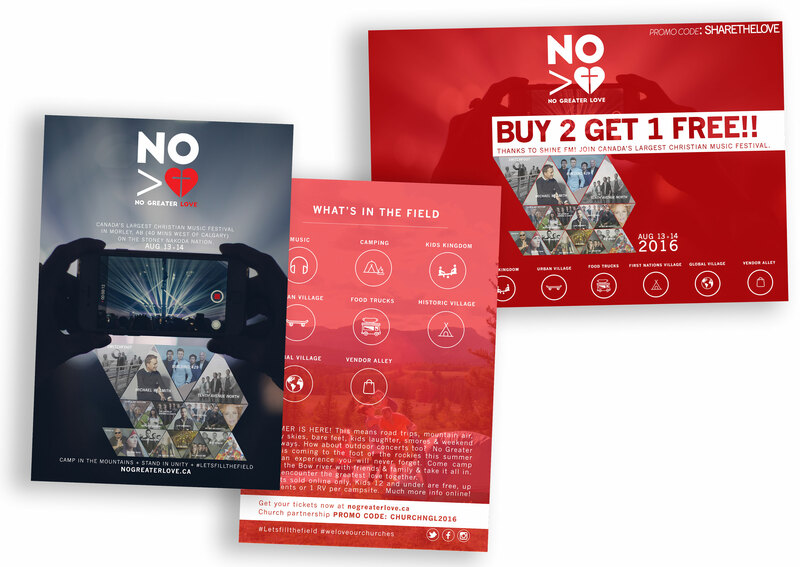 RESULTS: With their first festival less than 3 months away and ticket sales stagnating, we were hired to pump life and continuity into the NGL brand and roll out a PR and marketing strategy that would rapidly drive ticket sales. We developed and managed key partnerships, cross promotion deals, targeted ad buys, and social media content leading up to the event. 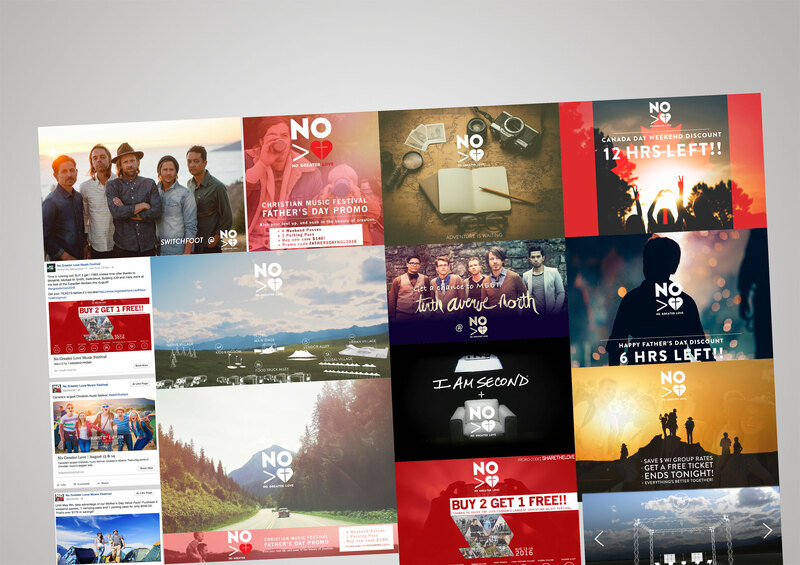 For the event itself, we coordinated and executed the production of all creative assets from video to design and web. Our last minute efforts led to a successful launch and kick-off festival with more than 5,000 people in attendance.